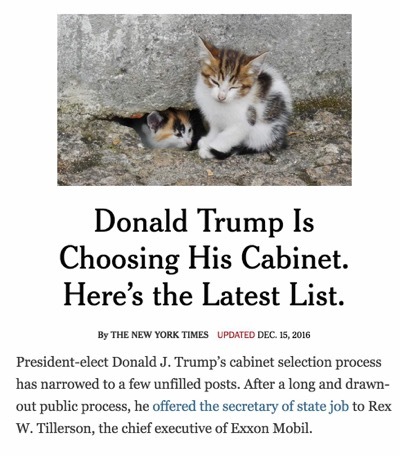 If you read the news regularly and are tired of looking at pictures of Donald Trump, there’s a Chrome extension for that! 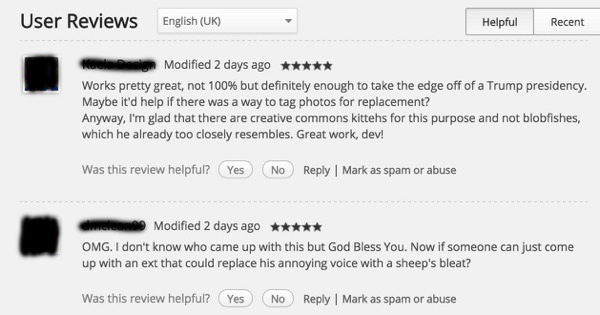 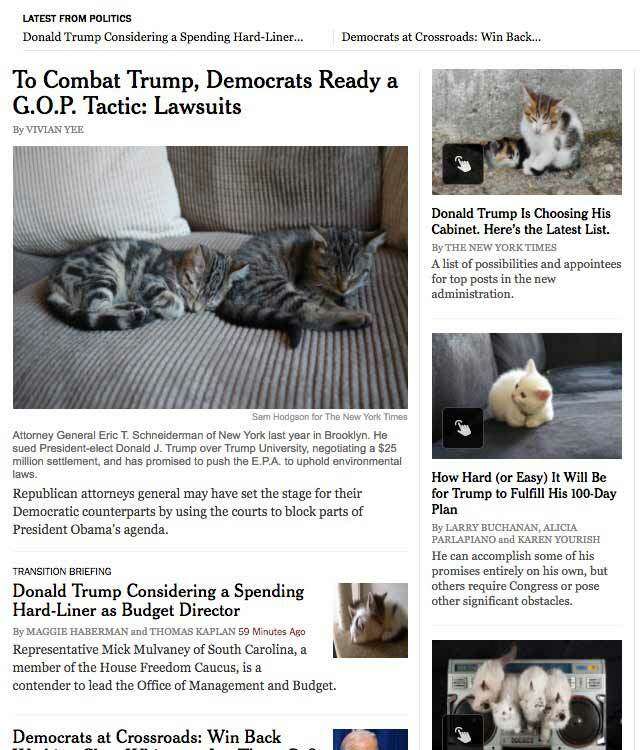 Make America Kittens Again is an extension you can add to your Google Chrome browser that automatically detects images of Trump on the web and changes them to photos of kittens, because, let’s face it, kittens are easier on the eye and a lot cuter! 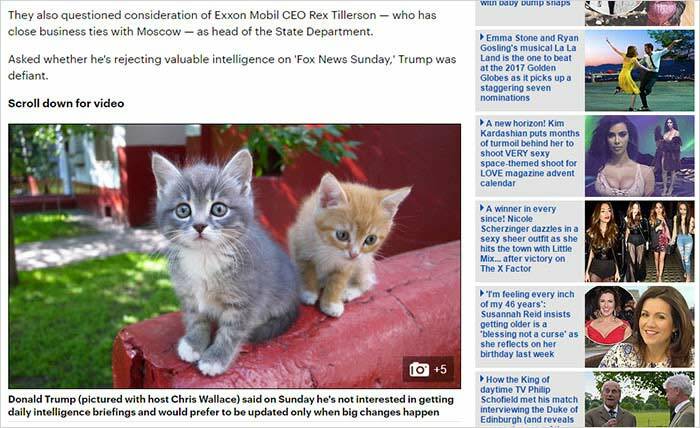 It easy to use, simply pop the extension into Chrome, and bob’s your uncle, or should I say Trump’s your kitten. 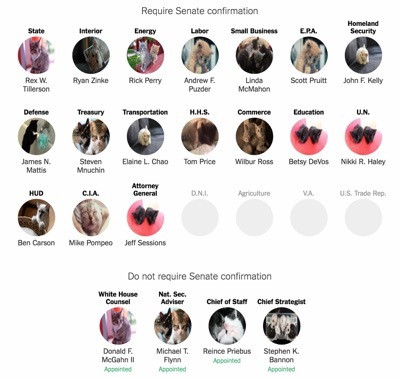 My favorite so far is seeing Trump’s cabinet transformed into a full-on kitten party!